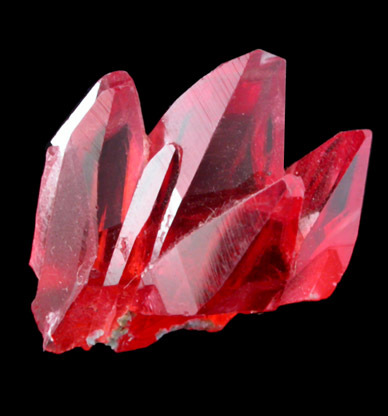 Description: Large transparent red rhodochrosite crystals with no matrix attached. 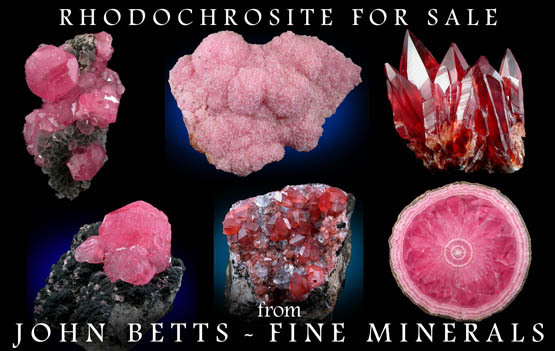 This quality of rhodochrosite rarely is available today. Two crystals have cleaved tips visible under magnification.